I bought my hawk in '07 wrecked. Undamaged frame & fully intact motor. Spent 6 months getting all the missing odds n ends... oddly the fairings were all there untouched. The tag on the frame says its a 2000 ... but every 2000 model I see has a marker light above the headlight at the bottom of the windscreen. This one doesnt. Just curious as to whether or not anyone knows why? Is it aftermarket skin or was there a model that offered it without? Every set of fairings Ive found aftermarket or stock has this. Sharkskinz IMHO are better if not equal to OEM quality. I would mark this as a cosmetic upgrade over stock replacement or 3rd party replacement. when identifying it to a potential buyers or fellow riders. ***It could have meant the bike was downed in the drive-way or some other inconsequential yet damaging "lay down." 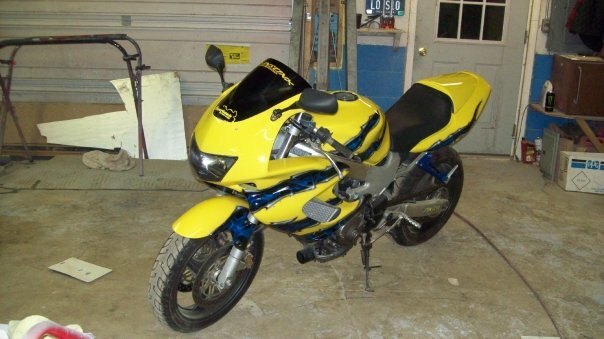 If a bike has replacement fairings unfortunately something "happened" to the originals. Whether the owner simply kept them to sell or re-coup expenses after changing the "look..." or the originals were damaged and required replacement for whatever reason. Last edited by WhOrD; 05-13-2013 at 01:51 PM. 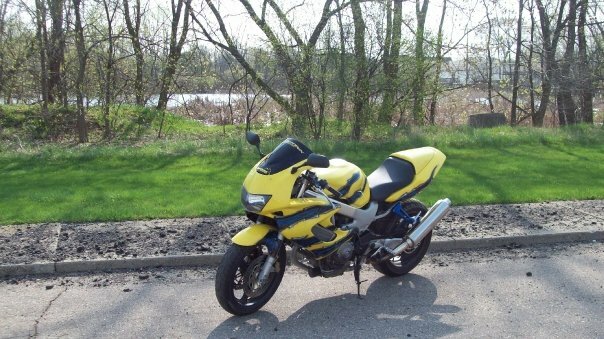 Quick Reply: Stock Or Aftermarket Fairings?